I have been wanting to write this post for a while but this month has been so busy that every time i think of writing a post, I get caught up doing some work or going somewhere for an event. Fall is my all-time favorite season! I love the colorful trees and everything pumpkin around this time! The best part about this season is that we get to do all the fall activities with the kids and it is so much fun! The corn cribs, the pumpkin picking and fun in the hay makes you want to become a kid all over again! The weather has finally started changing and it is getting cooler. I say cooler because it isn’t jacket season yet. The days are usually in the 60’s and the nights in mid-40’s. I wish it stays this way for a while, it is just so PERFECT! The month of October just passed in a blink of an eye, I can’t believe the fact that it is already 23rd of October. Just 1 week more of this amazing month left! Every year during fall I keep saying that I want to try all things pumpkin, like the Pumpkin Spice Frappuccino or Latte from Starbucks, which is so over hyped. I did finally get a chance to try it and I can say with honesty that it isn’t what I was expecting but It is a refreshing drink to have once in a while. The pumpkin spice overpowered the drink, I might try it next time with a little less spice. 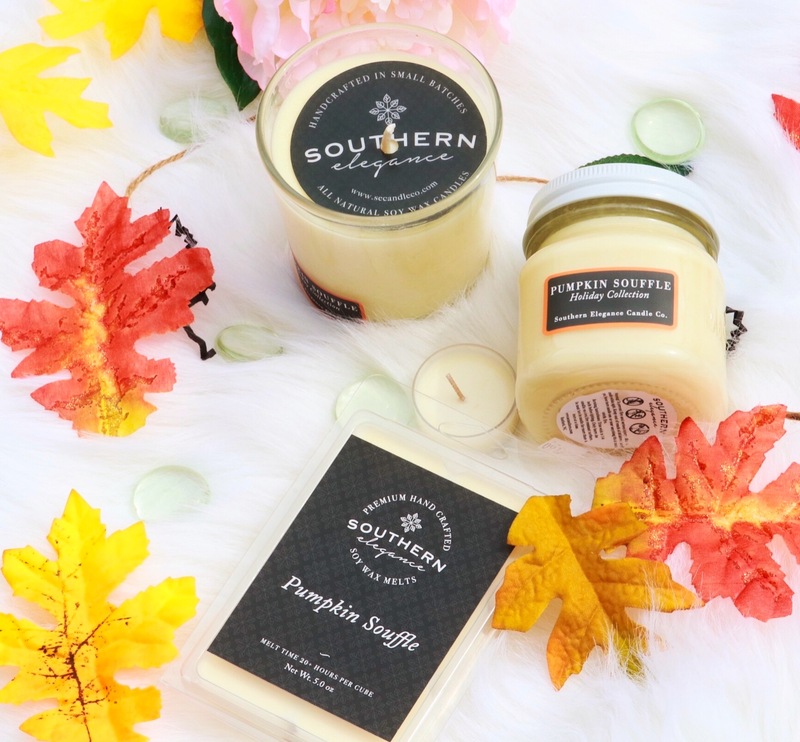 I also got few pumpkin souffle scented candles from a local business which are amazing. That is something i definitely like to have. It is different but so good! To be honest, If it were up to me, I’d love to have Fall as the one and only season ever! I am enjoying Southern Living! I remember we had to drive quite a bit to go either apple picking or pumpkin picking while we were in Connecticut. It is so different out here, although we did go to a farm which was a bit of a drive, we do have farms here which are just a few minutes’ drive from us. Having lived a fast-paced city life. I have started to love and adapt to the tranquility around me. This place makes me happy because the people here are so warm and welcoming, so friendly. It may not be for everyone, but It is definitely the place where I’d love to stay.